For travellers who like to travel and drive themselves, this 21 day self-drive tour offers the most affordable way to explore the highlights of Namibia and Botswana. The starting point and ending point of this adventure is conveniently in Windhoek. This proves to be both time and cost efficient. 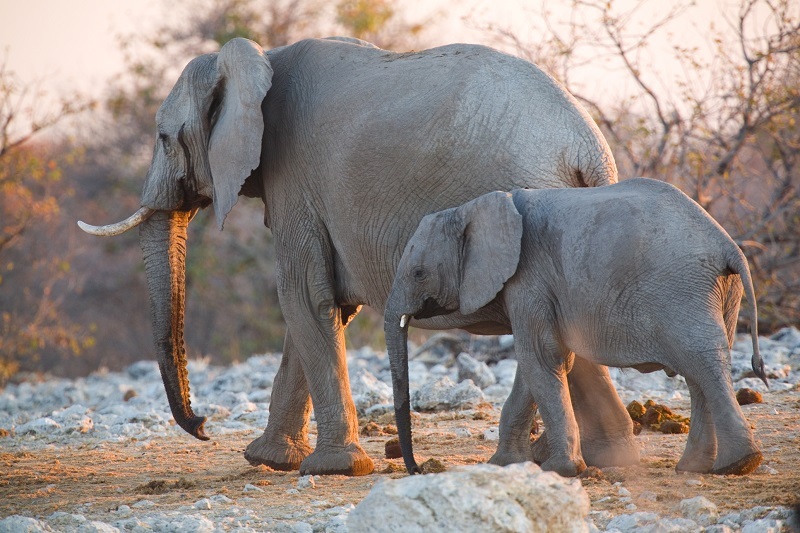 Your route will follow through Sossusvlei and Swakopmund to the Etosha National Park. The journey then continues through the Caprivi Strip until you enter into Botswana. Here you will see large elephant herds, who are regulars at the Chobe River banks. From here, the Victoria Falls are now only a short journey away. They are a spectacular sight. Next you will travel on to Maun, via Nata and past the Makgadigadi Salt Pans. 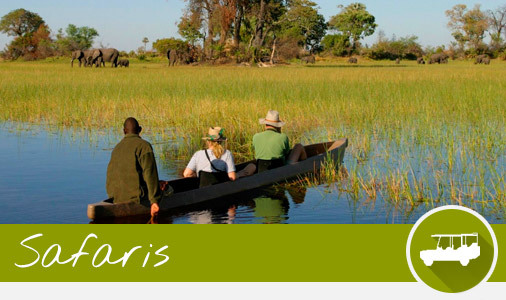 A two day fly-in safari also awaits you, which will allow you to explore the Okavango Delta and enjoy the beauty of the largest inland delta in Africa. Every single lodge, guesthouse and camp has been visited by us first hand and can therefore be safely recommended to you. We offer you owner-managed guesthouses and private lodges, rather than huge tourism establishments, where you would be just another guest. We hope to create a personal experience for you. We also encourage our clients to learn about the places they visit by interacting with the staff and the owners of the accommodations so that when you leave, you leave with a cultural understanding too. First you shall land at Windhoek International Airport and then, once you are sitting comfortably in your rented car, you will drive to your pre-arranged accommodation, Casa Piccolo. You may spend the rest of the day as you please. The National Gallery which features work by local artists, the National Museum offering interesting insights into Namibia’s history or the Botanical Gardens (taxi required) are all places worthy of a visit. Of course you may also sit back and relax and prepare for the adventure which lies ahead. Overnight at the Casa Piccolo. After breakfast you begin your journey by travelling southwards, driving out of Windhoek. You will drive via Rehoboth and the Remshoogte Pass towards Sesriem, which is the gateway to the impressive dunes of Sossusvlei. Once at the dunes, you will experience the beautiful lights and shadows this landscape creates as the sun sets over the dunes. Your overnight accommodation will be at the Desert Camp, where you can either choose the self-catering option or you may have breakfast and dinner at the Sossusvlei Lodge (on request the accommodation can also be booked on a half-board basis). 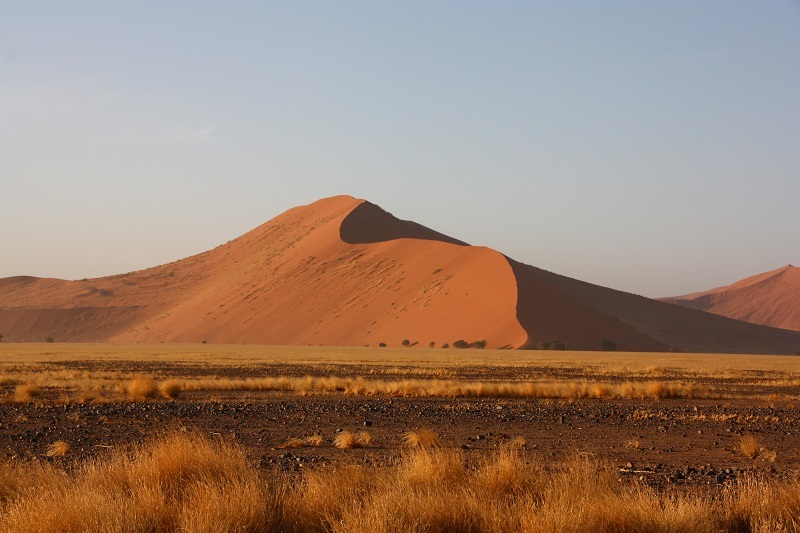 Bright and early, you will enter through the gates of the Sossusvlei National Park and park your car nearby the dunes. For the ones who like a walk in the morning, the dunes are there ventured up. Some reach an impressive height of almost 300 metres. Others may make use of a 4×4 transfer. The top of the dunes award you with a beautiful view of the surrounding scenery. Following this, your journey takes you to the Sesriem Canyon. Here, during the dry season, you may hike some more if so inclined. A guided desert walk can be booked at the Sossusvlei Lodge, should you wish to learn more about the desert. Overnight will once again be at the Desert Camp. Every day brings something new and today you will journey to Swakopmund, a city known for its German heritage. Many of the inhabitants are the descendants of German colonialist and state officials, who moved to Namibia when it was still called German South-West Africa, many years ago. Here you will find German food, German architecture (such as the old court house and the old state station) and notice that German is often still spoken, reminders of a by gone age. Swakopmund is supremely located as a centre for many adventurous activities in the region. Also, a daytrip to the seal colony at Cape Cross can be done. Accommodation for the next two nights will be at the Cornerstone Guesthouse. Be sure to try some of the many restaurants in Swakopmund. Your journey today continues to the Vreugde Guest Farm. Along the way you will pass the town of Outjo, where a German bakery can supply you with provisions for the rest of the way. The Vreugde Guest Farm is an authentic Namibian farm, which allows you to witness the daily life of the people living in the region and enjoy their traditional “south-western style cooking”. 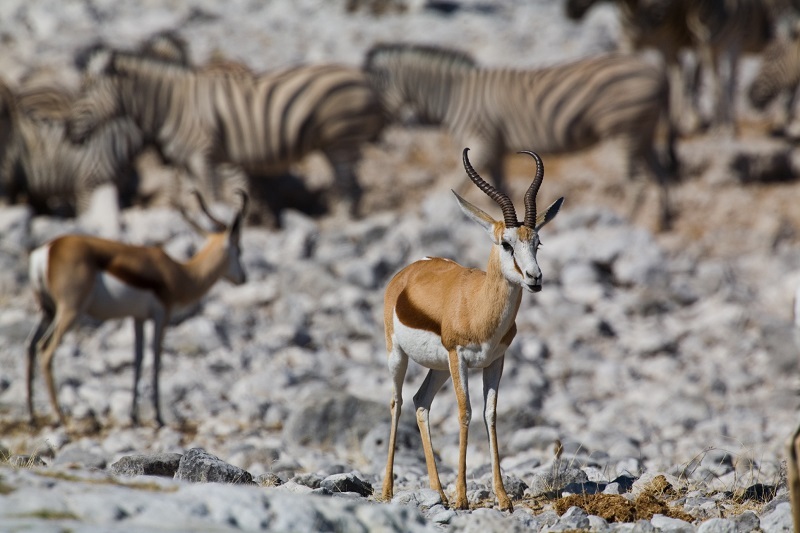 Vreugde will serve as a beautiful stopover, before you head on to the Etosha National Park the next day. Overnight will be at the Vreugde Guest Farm. Today the Anderson Gate serves as your entry point into the famous Etosha National Park. The national park is over 100 years old and is one of the most famous national parks in Southern Africa. The Okaukuejo Rest Camp is ideally located to serve as starting point for game drives around the western and central regions of Etosha. You will spend the following days game viewing around the waterholes, a meeting place for elephants, rhinos, giraffes and antelopes of various species. If fortune favours you, you might even see lions and leopards. Night game drives are also a good way to spot the nocturnal animals in the park (this is an optional activity and not included in the price). You will overnight at the Okaukuejo Rest Camp. After you have enjoyed your sunrise breakfast, it is time for more game viewing. The saltpans which you will be driving along stretch many kilometres to the east and are home to herds of impalas, gnus, oryx and zebras. In the evening you will leave the Etosha National Park through the Van Lindequist Gate and head on to the Mushara Bush Camp, your place to overnight. Your adventure continues as you travel through the Caprivi Strip, via Tsumeb and Rundu. The Caprivi Strip became a part of “German South-West Africa” in 1890, as the German colonialists were seeking access to the Zambezi River and “German East Africa”. This caused many years of border disputes between the governments of Namibia, Angola and Botswana. 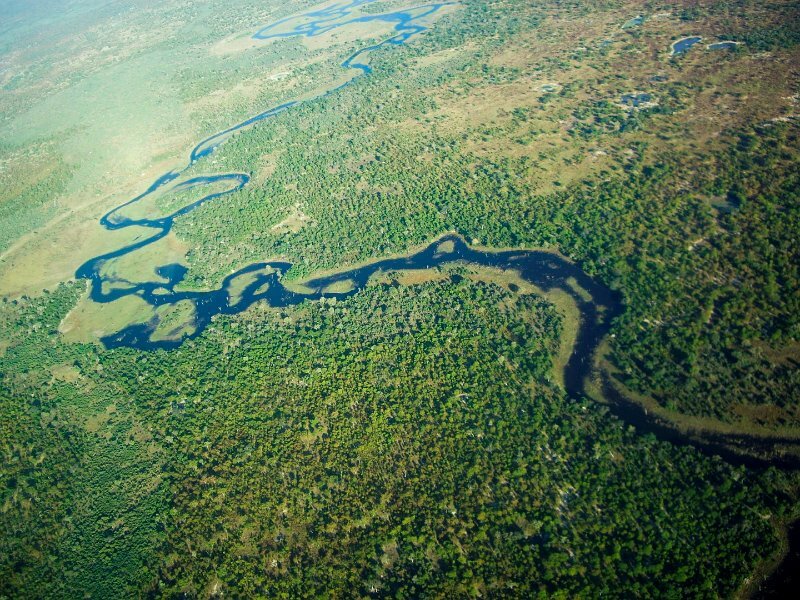 During this time, the Caprivi Strip was unsafe for travellers to venture into. This very fact, is what makes this particular region so attractive to visitors these days. On the banks of the Kavango River, you will find the Nunda Safari Lodge. It will be a welcome change in scenery, witnessing how the dry and dusty landscapes turn lush and green. On the next day, a boat trip on the Okavango River may be enjoyed or the Mahango Game Reserve may be explored (a 4×4 vehicle or a guided tour is required). A culturally enriching experience, would be visiting the local villages and people and getting a better understanding of their way of life. Your overnight will be in the luxury tents at the Nunda Safari Lodge. Today you cross the border into Botswana and check into the the Bakwena Lodge, located in Kasane. This will be the starting point for all your activities in the Chobe National Park. One game drive and one river cruise on the Chobe River, as well as the national park entrance fees are included. The Chobe National Park has over 40.000 elephants, and thereby is one of the parks with the highest density of elephants in Africa. The afternoon river cruise will allow you to see crocodiles, hippos and elephants (amongst others), as the animals come down for an evening drink. 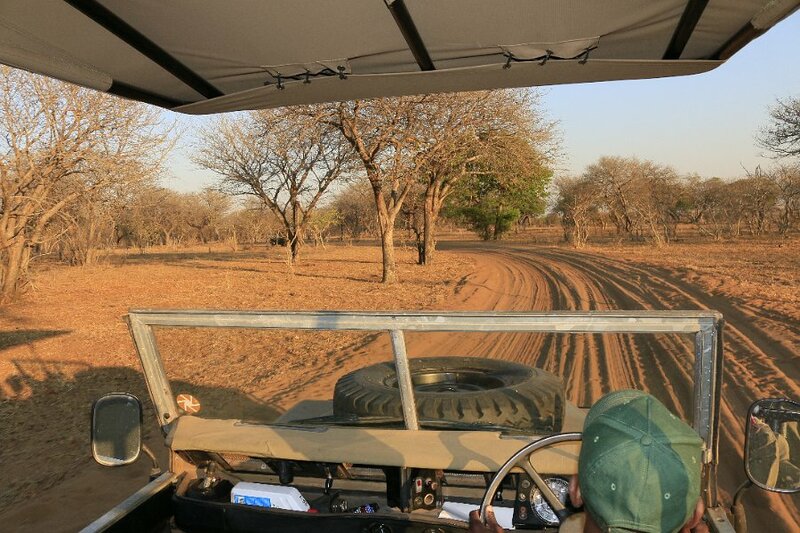 As the sun rises the next morning, a guide will take you on a game drive in a 4×4 vehicle. You will overnight at the Bakwena Lodge, situated outside of the park. Once you have completed your morning game drive in the Chobe National Park, you will be transferred from the Bakwena Lodge to the Victoria Falls. Your rental car shall remain at the Bakwena Lodge. The following two nights will be spent at the Ilala Lodge, situated close to the Victoria Falls. 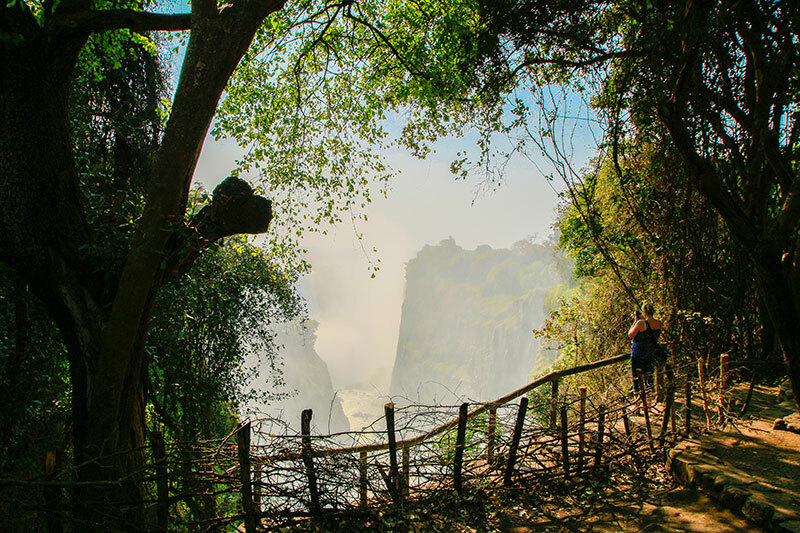 The Victoria Falls are also known as ‘Mosi oa Tunya’ meaning the smoke that thunders and it is not difficult to see why. There are many activities to choose from during your stay here. 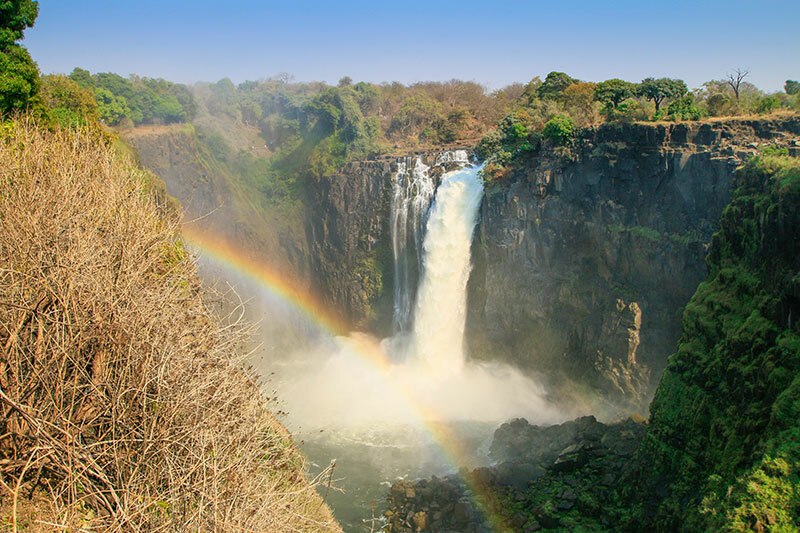 Perhaps a stroll along the falls, a sunset cruise on the Zambezi or you can perhaps even fly over the Victoria Falls in a micro light plane, offering you spectacular views. If you are an adventure seeker, then white water rafting or bungee jumping off the highest bridge in Africa should get your heart beating faster. Breakfast will be enjoyed at the Ilala Lodge, after which you will be picked up and transferred back to the Bakwena Lodge in Botswana. The rest of the day may be spent as you please. This is the ideal time to relax or book another game drive or river cruise. Your journey continues today, as you head on to Nata. The Nata Lodge is going to be your base for the various excursions to the Nata Bird sanctuary, Sua and Ntwtwe Pans (these are only accessible with a 4×4 or on a guided tour). The pans are known for their seemingly endless stretch of salt pans, rich wildlife on the grasslands, mysterious “islands”, age old baobabs and various sanctuaries. These attractions are all well worth seeing. Around lunchtime, guided tours depart into the pans and if you are lucky, you might spot pelicans and flamingos. Overnight at Nata. Once you have finished a hearty breakfast, you shall drive to Maun, via Gweta. You should arrive in the afternoon and then you may relax at the lodge or browse through the couple of shops which Maun has to offer. Overnight will be at the Thamalakane River Lodge, located directly on the banks of the Thamalakane River. You will drive to the airport and leave your car behind, to board a light-aircraft for your flight to the Okavanga Delta. On a cloudless day, you will see the spectacular scenery unfold below, as you fly over the largest inland delta in Africa. This area is home to many different species of wildlife including, but not limited to antelopes, elephants, wild dogs and lions. Additionally, the delta is known to be a paradise for bird lovers. During your time in the delta, you will go on mokoro excursions or explore the wilderness on foot. Game and night drives are also part of the experience. You shall spend both nights at the Pom Pom Camp (all activities in the Okavango Delta are included in the price). After having collected new and wonderful experiences, your light-aircraft will take you back to Maun. The views over the delta are once again there for your enjoyment. You will spend another night at the Thamalakane River Lodge. Once breakfast has been enjoyed, you shall cruise on a tarred road to the Kalahari Bush Breaks in Namibia. Your journey shall take you via Sehitwa and Ghanzi. 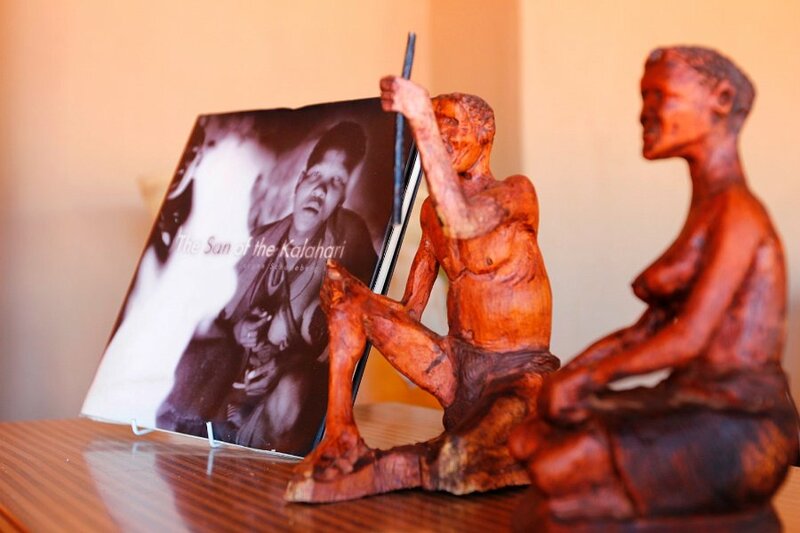 Ghanzi offers a Bushman craft shop, which you may stop at and explore. The Kalahari Bush Breaks is situated close to the border, on the Namibian side. All things must come to an end and as such, today you shall return to Windhoek and drop your rental car off at the airport. You will fly back home with many new stories to tell and many new memories which you can fondly look back on.